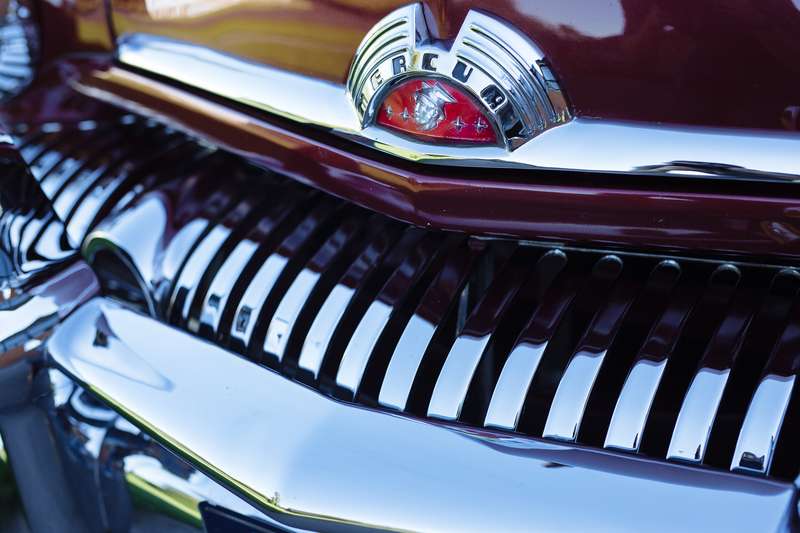 When someone asks about the color of her 1951 Mercury Sedan… “It’s chrome with red,” says Nancy Metrick with a laugh. She loves old cars and chrome, hence her choice of a Mercury with voluminous amounts of chrome, especially that front bumper. 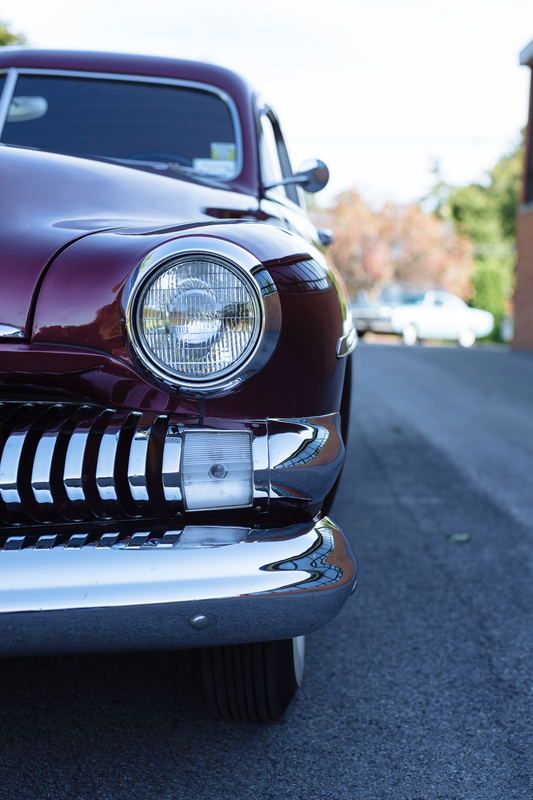 One of her favorite design details is the chrome bullets on the front bumper, which are “super cool” looking. It’s certainly a bold look, and it has that 1950s classic design which is most appealing to Nancy. Nancy also loves old movies; one of her favorites is the 1955 movie, Rebel Without a Cause, starring James Dean. In the movie there is a dare scene between Dean, driving a 1949 Mercury Eight, and a rival character named Buzz. It’s an iconic car scene, one that sticks out in Nancy’s mind, to the point of having to find one. 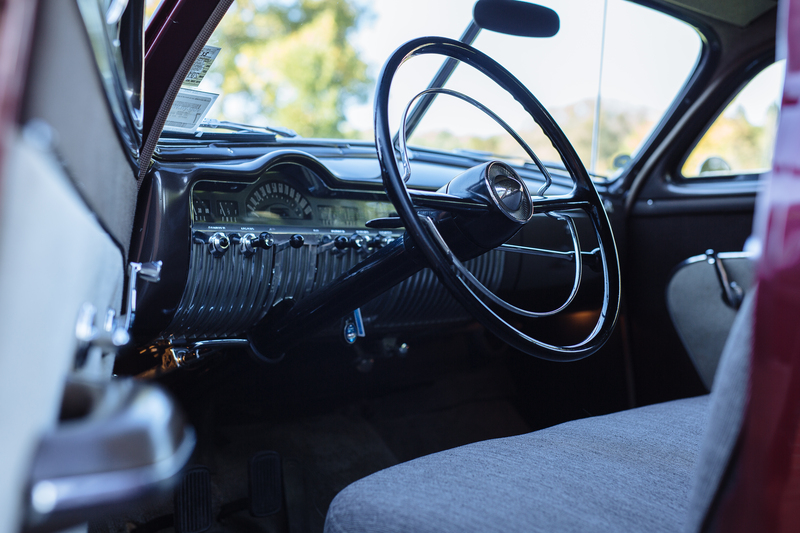 I know Nancy said her passion was inspired by all the chrome on the car, but the author pondered if the fact that the legendary (and handsome) actor James Dean driving it had anything to do with the decision. Nancy’s search was for a 1951 (versus the 1949) because there was a bit more chrome. 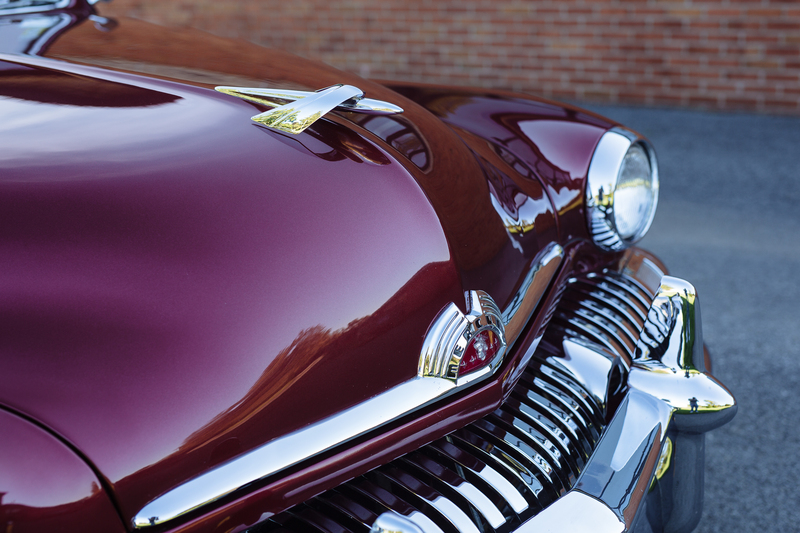 For the 1951 model year, the chrome bullets were added to the front bumper which made it a must have year. 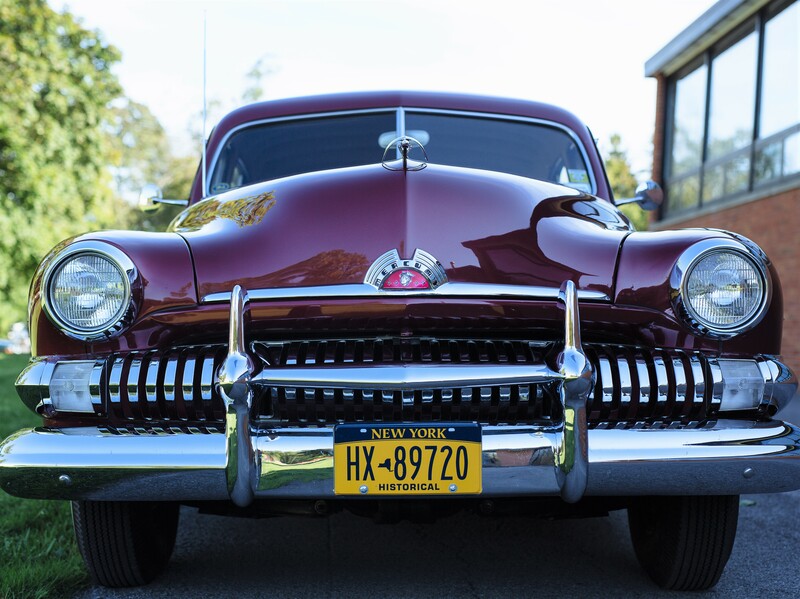 She found the car in Hemmings Motor News Magazine and it was close by in Ballston Lake, NY. 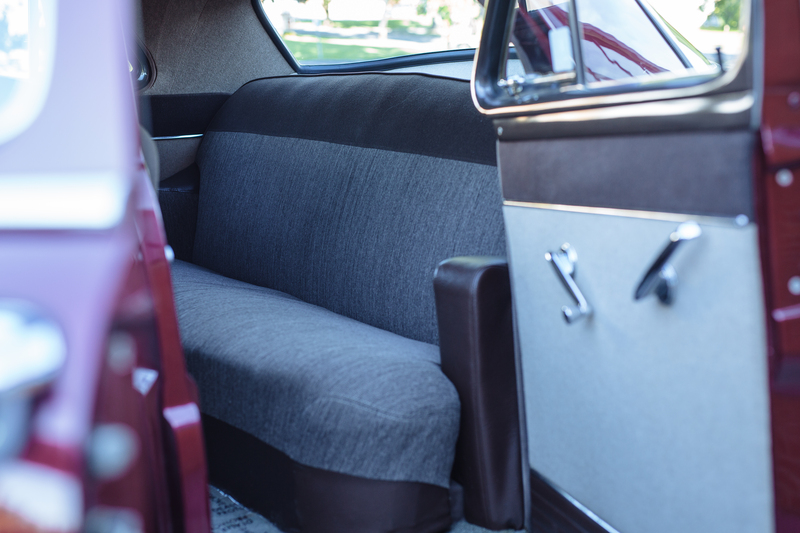 It’s never had a frame-off restoration, but it’s been restored as-needed. 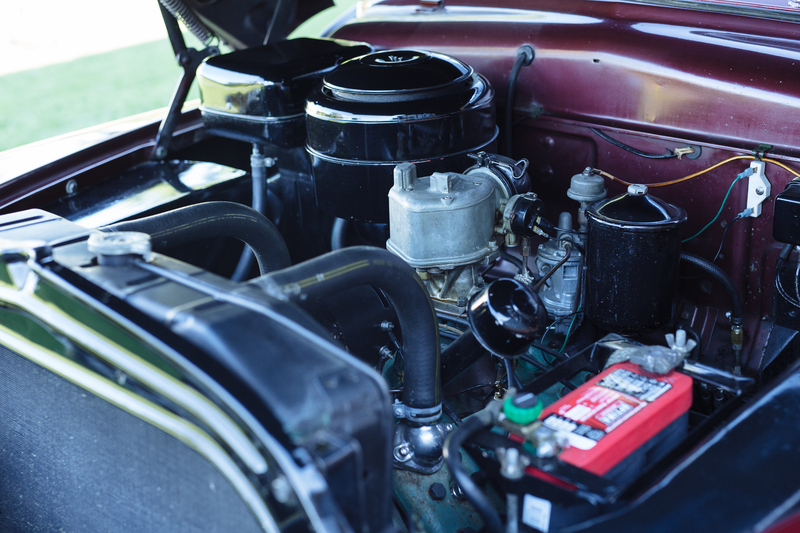 Many Mercurys have been customized into hot rods, but Nancy was determined to purchase an original, stock car. 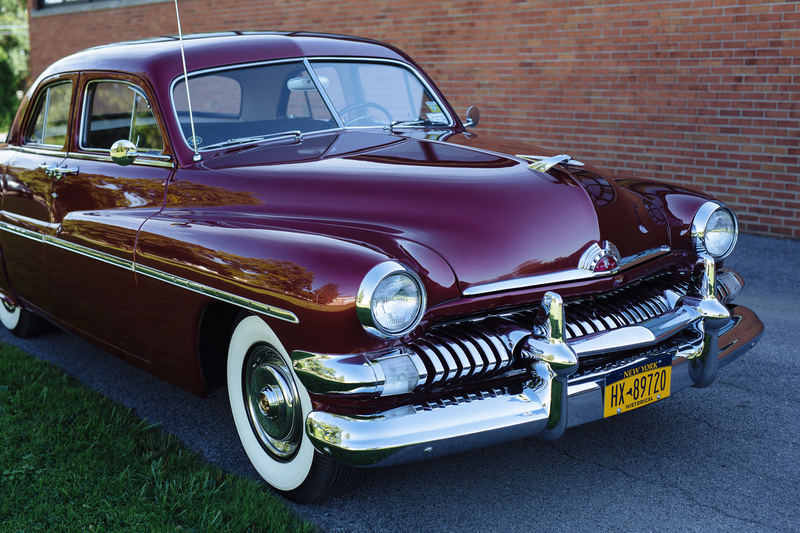 Her 1951 Mercury Sedan is the third generation of the Mercury Eight series of cars, first produced in 1939. 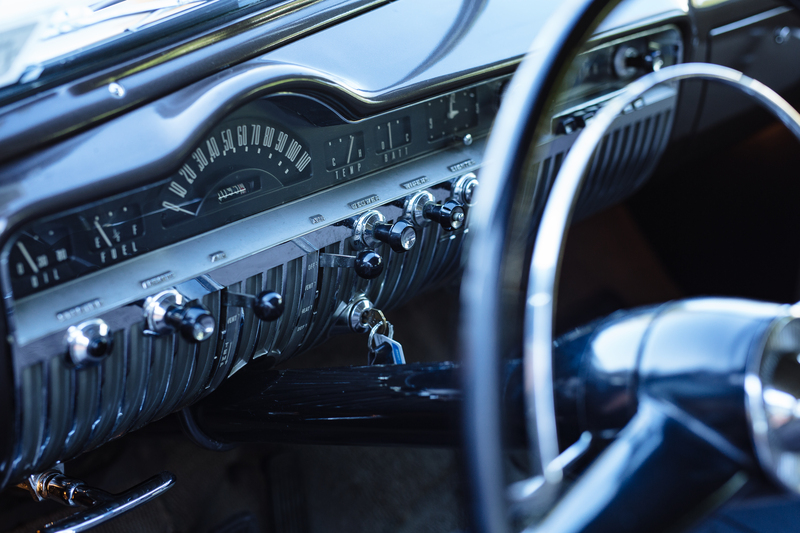 The 1951 Mercury Eight model was the last of that era of cars and was changed starting in 1952. 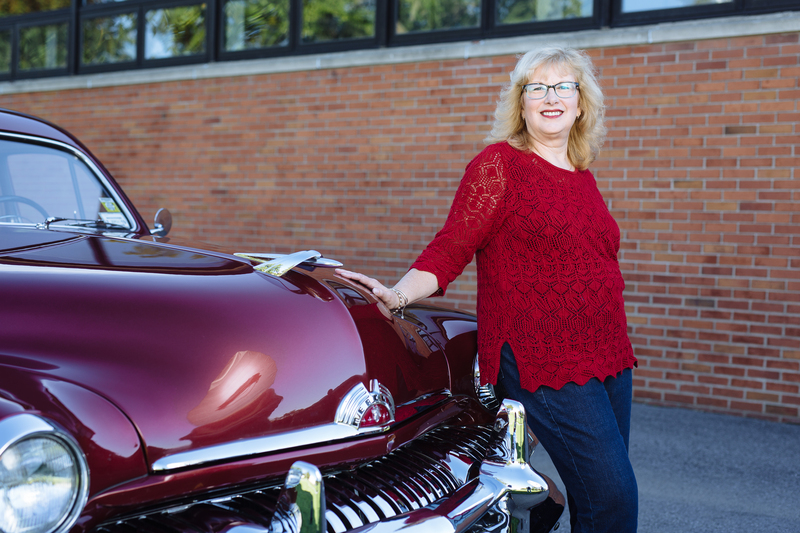 Nancy’s love of cars started when she was just a youngster, inspired by her father who was a mechanic. He would take her to see the car races, where they were frequently racing coupes. As a child, she really loved her father, the races, and fast cars. Now, she is still around cars all the time, going to as many cruise-ins as possible and the Syracuse Nationals. Along with her husband, George, they both find much enjoyment together in their mutual interest in cars.